MANILA (UPDATE) - Philippine President Rodrigo Duterte has said he personally killed suspected criminals when he was mayor of a southern city to set an example for police. 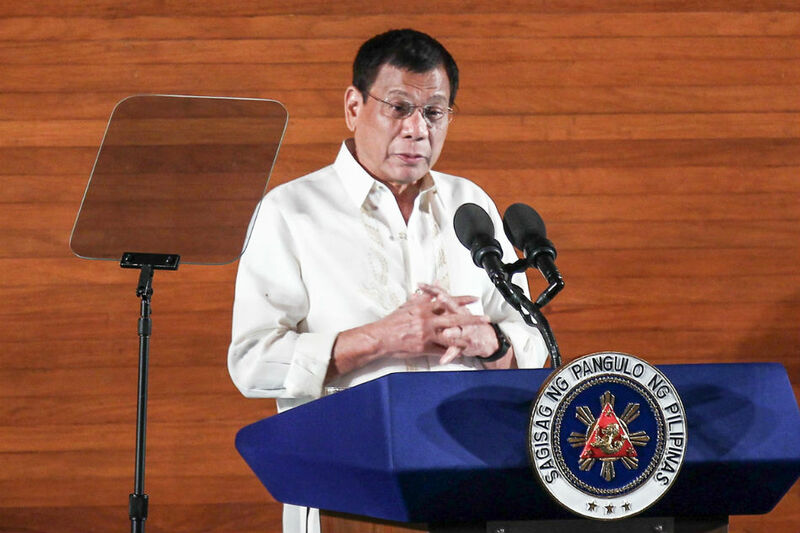 Duterte made the comments in a speech late on Monday night to businessmen as he discussed his campaign to eradicate illegal drugs, which has seen police and unknown assailants kill thousands of people since he became president on June 30. "In Davao I used to do it personally. Just to show to the guys (police) that if I can do it why can't you," Duterte said in his speech at the presidential palace. "Sorry, I am not about to do that," he said. "I (would) sometimes go along with them. If you say I shot someone, maybe I did. I was closing my eyes because I am scared of firing a gun," said Duterte, a lawyer and former state prosecutor. Rights groups have previously accused Duterte of running vigilante death squads in Davao that killed more than 1,000 suspected criminals, including children accused of petty crimes. Duterte has variously denied and acknowledged involvement in the death squads. But he easily won presidential elections in May after promising to roll-out his Davao law-and-order policies across the nation. He pledged that 100,000 people would die in the crackdown and that so many bodies would be dumped in Manila Bay that fish there would grow fat from feeding on them. Since taking office in late June, police have reported killing 2,086 people in anti-drug operations. More than 3,000 others have been killed in unexplained circumstances, according to official figures. Duterte has insisted that police are only killing in self-defense and gangsters are murdering the other victims. Surveys show a majority of Filipinos continue to support the charismatic Duterte and his crime policies, accepting his argument that drastic action is required to stop the Philippines from becoming a narco-state. He later apologized for the Hitler reference but said he was "emphatic" about wanting to kill the millions of addicts. In September, a self-confessed Davao death squad member told a Senate hearing into the drug war that then-mayor Duterte personally gunned down a justice department agent and ordered the murders of opponents. The confessed hitman, Edgar Matobato, said one of the victims was fed to a crocodile. Duterte's aides denied the claims, sought to discredit Matobato and orchestrated the removal of the president's chief political opponent as chair of the Senate hearing.